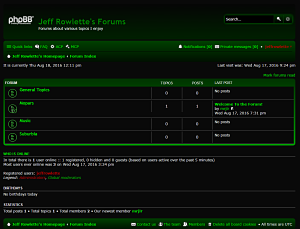 If you click on “Forums” from my homepage, there is a link to the various forums I created. There forums for “General Topics”, “Mopars”, “Music”, and “Suburbia”. Simply sign up as a new user and I’ll receive an email to activate you.